The USC Libraries use the Library of Congress system to organize most of our books. Every book has a unique call number that tells you where it lives on the shelf - like an address. 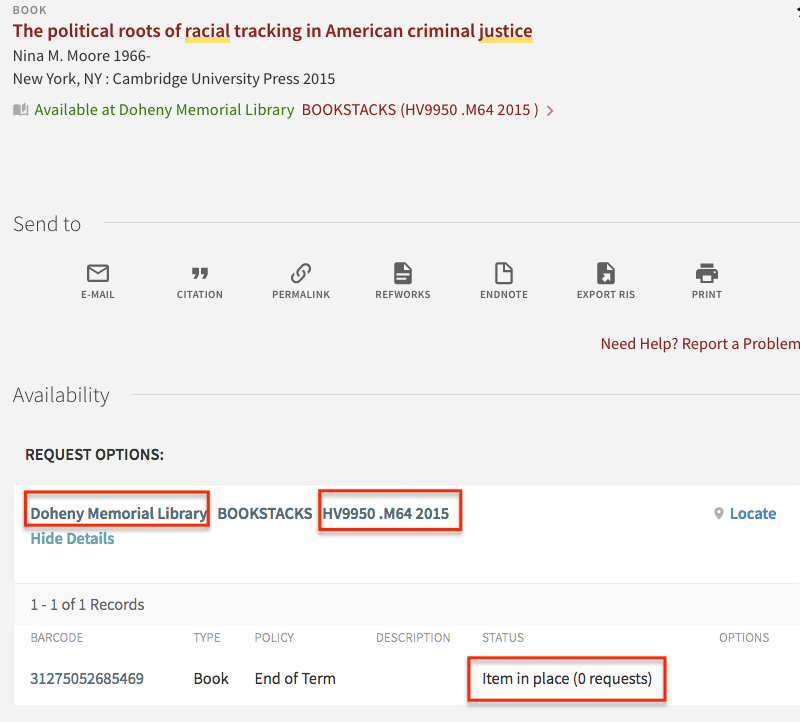 When you see a book on the libraries’ website that you’d like to find, you’ll need to know 2 things: which library(ies) you can find it in, and its call number. Every call number starts with 1-3 letters, and is followed by a number. When you’re looking for a book, the letters are arranged alphabetically - so JF will come before JK. And JF500 will come before JF1500. After that first number will be a letter. The books will be arranged on the shelf in order by that letter. The books near your original book should be about similar topics, and can be useful further sources. "Item in place" means the book should be on the shelf and not checked out.